Jeanette Epps, a NASA astronaut slated to become the first African-American to make a long-duration stay aboard the International Space Station, has been replaced by an astronaut in training for a later flight, the space agency announced Thursday. No explanation for the unexpected crew shuffle was given. Epps, a former technical intelligence officer with the CIA who holds a Ph.D. in aerospace engineering, had been scheduled to blast off from the Baikonur Cosmodrome in Kazakhstan in early June, joining Soyuz MS-09 commander Sergey Prokopyev and European Space Agency astronaut Alexander Gerst for a planned 143-day stay in space. 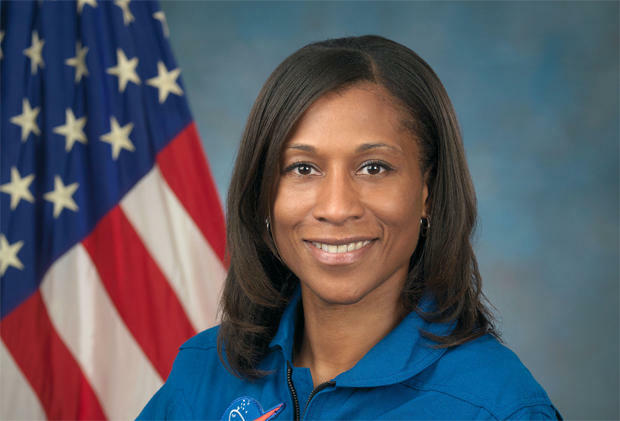 Instead, a NASA release said Epps will be replaced by astronaut Serena Auñón-Chancellor, a fellow space rookie and member of the same astronaut class who had been assigned to a station flight scheduled for launch in November. Astronaut Anne McClain will take Auñón-Chancellor's place on the Soyuz MS-11 crew. NASA has changed crew assignments in the past, most famously substituting Jack Swigert for Ken Mattingly three days before the launch of the ill-fated Apollo 13 mission due to the latter's exposure to measles. Astronaut Tim Kopra was removed from a space shuttle crew less than six weeks before launch in 2011 after he was injured in a bicycle accident. But changing station crew members within six months of launch is unusual. NASA spokeswoman Brandi Dean said in an email Friday that "a number of factors are considered when making flight assignments; these decisions are personnel matters, for which NASA doesn't provide information." "Epps has returned to the active astronaut corps at JSC to assume duties in the astronaut office," Dean said. "She will be considered for assignment to future missions." Epps joined NASA's astronaut corps in 2009 and was assigned to the Soyuz MS-09 crew last January. Six African-American astronauts have visited the space station during shuttle assembly flights, but Epps would have been the first to make a long-duration stay as a member of the station's Expedition 56 and 57 crews, launching in June and returning to Earth in late October. "While earning her doctorate, Epps was a NASA Graduate Student Researchers Project fellow, authoring several journal and conference articles on her research," according to her NASA biography. "After completing graduate school, she went on to work in a research laboratory for more than two years, co-authoring several patents, before being recruited by the Central Intelligence Agency. She spent seven years as a CIA technical intelligence officer before being selected as a member of the 2009 astronaut class." Most recently, Epps and her Soyuz MS-09 crewmates served as backups to a crew that took off from Kazakhstan last month. During a news conference before that launch, Epps thanked her Russian trainers and crewmates for helping prepare her crew for flight. "We are ready for flight, as our prime crew is, and I wanted to make sure all the instructors knew we really appreciated all of their help and everything that they've done to get us to this point," she said. "Lastly, I'd like to thank the prime crew for all the great insights and all the great information you've given us." Asked if she ever though about becoming an astronaut when she was growing up, Epps said she did, "but I never thought that they would take me. So I decided to become an engineer, and through that route I made it into the astronaut corps." "So I did a lot of studying, I went through undergrad and graduate school -- 11 years -- so I did a lot of work in school, then I worked for the Ford Motor Company and then for the government," she said. "I've been with NASA for about eight years. So, it's a long road. But as a kid you dream about doing a lot of great things. Keep on that road and keep doing those things, and you never know where you'll end up."